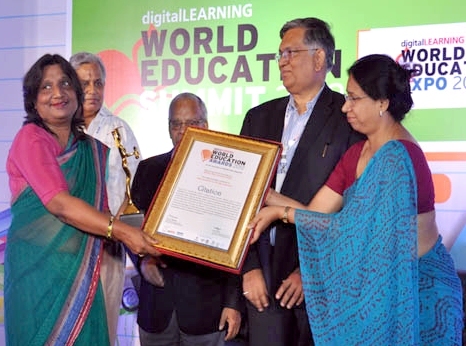 Apeejay Stya University (ASU) – India’s first Liberal Arts & Meta University – has been conferred the “Best Innovation by Private University” award in the category of “Higher Education Institutes” (HEIs) at the World Education Summit 2012. The award was presented at a glittering ceremony held at Hotel Le Meridien, New Delhi as part of the two-day World Education Summit 2012 being attended by leading education leaders and policy-makers from across the globe to discuss and deliberate on a wide range of pertinent issues related to Education. The Summit is being jointly organised by the All India Council for Technical Education (AICTE), Centre for Science, Development &Media Studies, & Elets Technomedia, and supported by the Directorate General of Employment and Training (DGET), Government of India, UNESCO and other reputed organisations.